Get up every morning and tell yourself: "I CAN do this! "Do it in the >COST: $7 per hourly class!Pay as you go or select another of our easy, affordable options! Fitness is for EVERYONE!<>Mornings: Mondays and Wednesdays - 10:30am to 11:30amStudio Jear Satellite Location: 8457 Western Way, Jacksonville, FL 32256ZUMBA® is a fusion of Latin and International music and dance themes creating a dynamic, exciting, effective fitness system! The routines feature aerobic/fitness interval training with a combination of fast and slow rhythms that tone and sculpt the body. 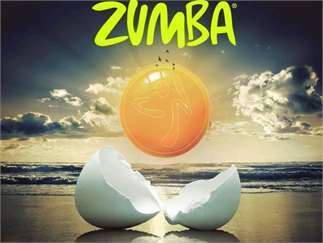 Zumba® utilizes the principals of fitness interval training and resistance training to maximize caloric output, fat burning and total body toning. THIS IS NOT A DANCE CLASS! This is a total body toning, calorie burning, muscle building workout! 60 minutes of Fitness, Fun & RESULTS! Make TODAY the day you change YOUR LIFE!